From 9 to 14 February 2019, 250 up-and-coming film professionals – 141 women and 109 men – from 77 countries, will gather at Berlinale Talents to share ideas, network, and further develop their latest projects. This year’s group is socially, culturally, and artistically extremely diverse. The compelling and artistically outstanding works of the Talents reflect central topics of our times. Prominent themes include participation in society, active involvement in social issues and, increasingly, climate and environmental protection. Many Talents are also committed to sustainability at a professional level, and they demonstrate how to promote change in concrete terms — a particular focus of interest for the Berlinale Talents programme in general. This applies to the pressing themes of gender equality and diversity. 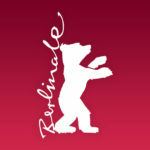 Additionally, Berlinale Talents also supports the innovative concepts of Talents and alumni, such as blockchain-based distribution and an increasingly digitised market. The Talents come from the fields of directing (108), producing (49), acting (14), screenwriting (6), cinematography (16), editing (13), production design (11), sales and distribution (10), score composition (7) and sound design (8). This year’s Talents selection includes two film professionals that are working and living in South Africa, Tamsin Ranger and Sydelle Williow Smith. Tamsin Ranger is a producer and distributor from Cape Town who focuses on African stories. She co-produced Rafiki which was screened at Cannes Film Festival in 2018. Sydelle Willow Smith is not only a distributor for documentaries, such as Strike a Rock, but also an award-winning photographer, filmmaker, NGO director and lecturer. She co-founded Sunshine Cinema, a solar-powered mobile cinema that hosts off the grid screenings in diverse spaces. In addition, South African-born director Joshua Magor has also been selected. Magor is currently splitting his time between South Africa and London, and his first feature film Siyabonga – We are Thankful was selected for the Official Competition at Locarno Film Festival 2018.